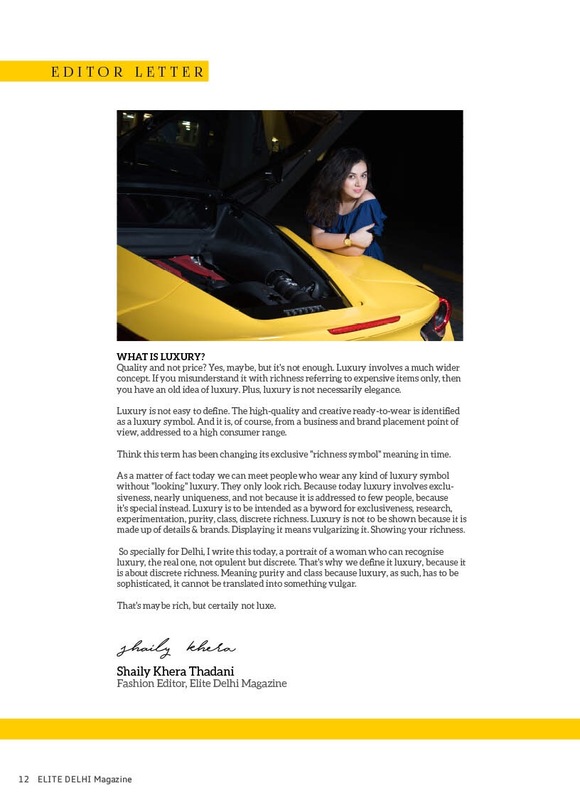 The E-Innovations Media Group has designated Shaily Khera as Fashion Editor for their Luxury Magazine ELITE Delhi. The position is effective from the issue of February 2017. A Journalism & Mass Comm. Graduate & MSC in Fashion & Technology, Khera started her career as a trainee journalist with Zee News. She, thereafter, held the post as a Celebrity Manager for RainDrop Media & Talent Mantra for nearly 2 years. She further branched out independently with her famous style blog – Confessionz of a Closet. 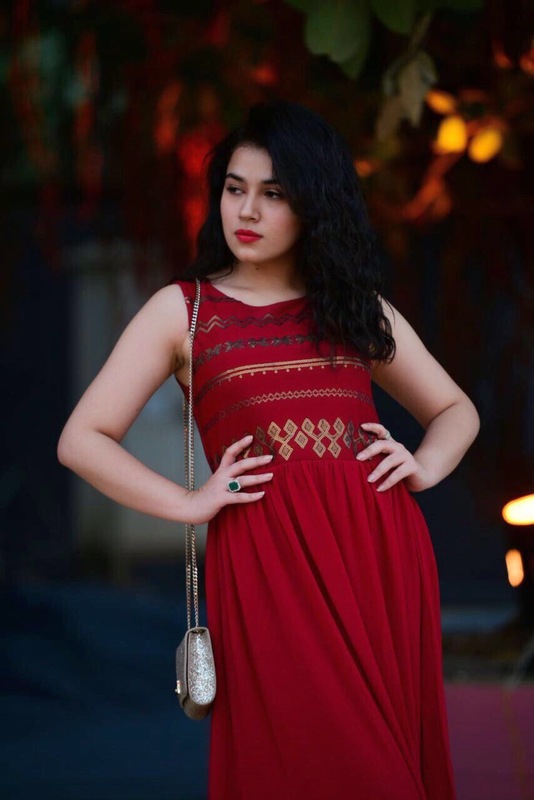 Khera has held major blogging assignments with companies like Amazon, Aldo, UCB, Sula Vineyards, Swarovski & various luxury consumer products, and most recently, with Marks & Spencer & Lime Road. 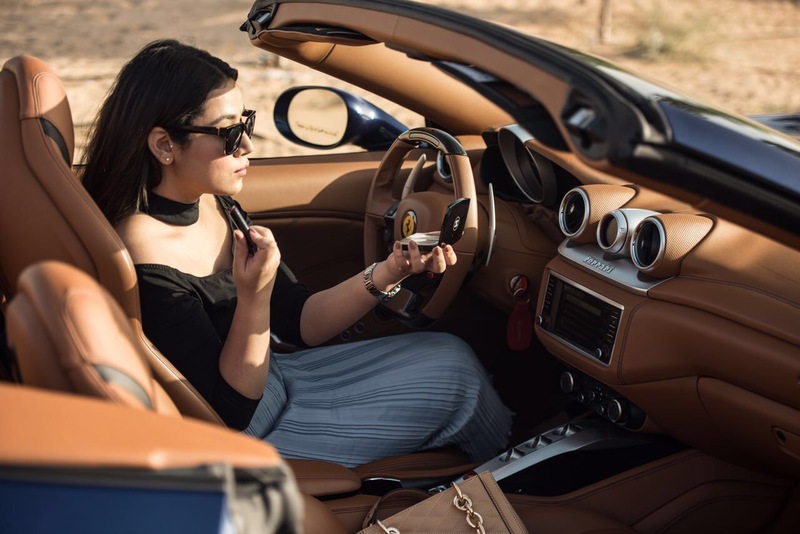 With over half a decade of experience in blogging and television, Khera has worked with ELITE to bring together content with brands such as Ferrari, DaMilano, Stalk-By-Love & Mulberry Mansions. In this Issue of February 2017, you would find her latest article on the Famous Ferrari California-T in which she writes about her long one week experience in Dubai with the latest Hard-Top Cabriolet by Ferrari. In the next few months, she would be bringing forward articles on Practical Luxury products for the HNI Consumers. With the regular abuse of the word Luxury she feels that products need to be well scrutinised before being endorsed and luxury isn’t always in correlation with expensive. So taking her thought forward read her first editorial as Fashion Editor for ELITE –What Is Luxury ?